In order to mitigate liability and improve care during power outages, The Joint Commission has launched a new Emergency Preparedness (EP) standard for fuel quality. This new standard states, “At least annually, the hospital tests the fuel quality to ASTM (American Society for Testing and Materials) standard” (Joint Commission, 2017). Essentially, the new EP standard makes fuel quality a critical part of the Joint Commission certification process. To explain the impact to your organization, we have gathered several measures to assist in meeting the new EP standard on fuel. Fuel testing and analysis is the first step in determining if your facility is compliant with the revised EP standard. When fuel is initially refined, it is tested to check if it meets certain cleanliness criteria. However, even though it may pass the initial standard tests, fuel can still be at risk of contamination during transportation or while in storage tanks. Therefore, facilities must schedule regular testing of their fuel to make certain it is not compromised. If fuel has become contaminated, facilities can take several measures to improve fuel quality. Thus, fuel polishing composes the next step to meeting the EP standard. Polishing will clean and purify fuel of any contamination and restore it back to a high-quality standard. Fuel polishing also reverses fuel degradation. Even though fuel has a considerably lengthy shelf life, it can degrade in as little as six months. Fuel polishing will assist in reversing fuel degradation, typically restoring to near-original condition. During the fuel polishing process, the inclusion of fuel additives provides several beneficial features. First, additives can work as both a solution and a preventative measure. They assist in a wide variety of capacities from removing contaminations in water to stabilizing chemical levels for long-term storage. In fact, studies have concluded, “Additives improve ignition and combustion efficiency, stabilize fuel mixtures, protect the motor from abrasion and wax deposition, and reduce pollutant emissions, among other features” (Energy & Fuels, 2007). Second, additives are tailored to each industry’s specific needs because fuel serves different purposes for various facilities. Therefore, it is crucial to be sure that the correct additives are disbursed at the right time. 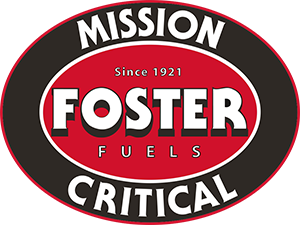 At Foster Fuels Mission Critical Services, we are prepared to help you meet the new EP standard. Our award-winning team provides fuel testing, polishing, and additives, as well as tank maintenance and emergency fuel delivery. Most importantly, we consider your investment. This is why we research the latest fuel improvements for you. Not only are we prepared for the Joint Commission’s new standards, we want to help ensure your facility meets and exceeds the expectations. Want to find out more about the Joint Commission’s new EP standard? You can read a White Paper about this topic here.